The State of Ohio issues traffic tickets for various violations of traffic laws. You have to respond to a citation by paying a fine or appearing in court to dispute the citation. If you don’t do either, a warrant for your arrest may be issued and your driver’s license could be suspended. If you want to dispute a traffic ticket, you must appear in court on the scheduled date. Appearing in court gives you the opportunity to fight a traffic ticket. 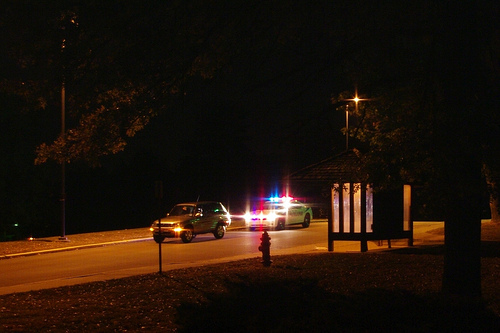 If you are unable to appear but still want to fight the ticket, you can often hire an attorney to go to court for you. If you pay a traffic ticket, you are essentially pleading guilty. If you decide to take this route, you can pay your ticket in several ways. Listed on your ticket or on additional paperwork you received, you will see the deadlines and options for responding to the ticket. In some towns, you can pay for the ticket online instantly, but in many places, the only payment options will be via mail or in person. Read and follow the payment instructions you received or call the court to ask how you can make payment. If you want to send the ticket by mail, enclose a check or money order for the payment and then mail it to the court. Keep in mind that some courts no longer take personal checks. The court’s mailing address should be listed on the front or back of the ticket. Be sure to keep a copy of the ticket for your personal records. If you didn’t provide proof of auto insurance when you were being cited, you will also need to send that. You can also pay for your traffic ticket in person by visiting the court. Bring your traffic ticket and payment along with you. The court’s location and other pertinent information should be listed on the front or back of the ticket. Each court accepts different forms of payment, so call in advance to find out what payment methods they accept. If you receive a traffic ticket and then pay the fine, it could result in higher car insurance rates as well as points on your driving record. If you accumulate 12 points on your driving record, your driver’s license will be suspended. After you receive a traffic ticket, look at your driving record to see what your point total is. If it is near 12 points, consider enrolling in a remedial driving course. Depending on the type of citation, you may be able to earn a two-point credit for your driving record by completing a remedial driving course. Did you know that by paying for your traffic ticket, you are willfully waiving your right to a trial in court? You have the option of challenging your traffic ticket in court and pleading “not guilty”. By presenting a strong defense with the help of a traffic ticket lawyer in Columbus, Ohio, you can reduce the charges or even have the ticket dismissed. If you’d like to hire an experienced and knowledgeable traffic ticket attorney in Columbus, Ohio, contact Maher Law Firm today to schedule a free consultation.